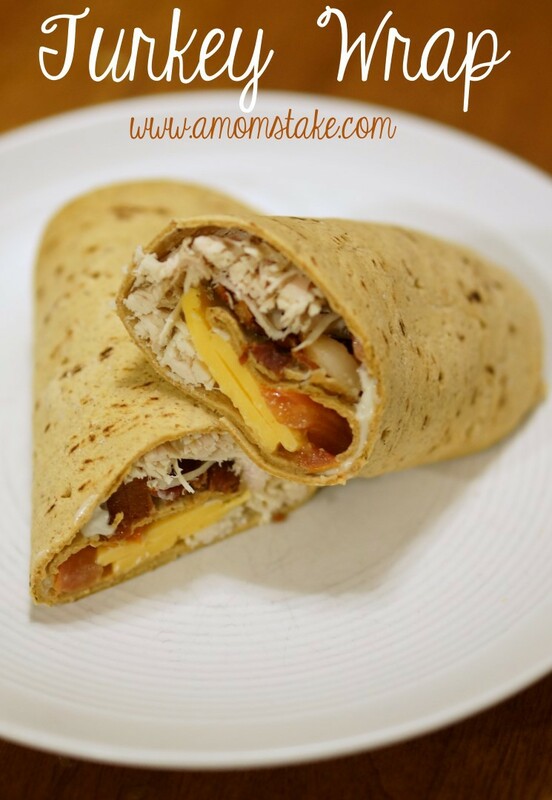 You are here: Home / Easy Recipes / Leftover Thanksgiving Turkey Recipe – Turkey Wraps! I received a variety of Good Cook items in exchange for this post. Opinions are my own. Who doesn’t love the big feast of Thanksgiving? But, a few days into your turkey leftovers, you start to feel like you’re eating the same thing over and over again. 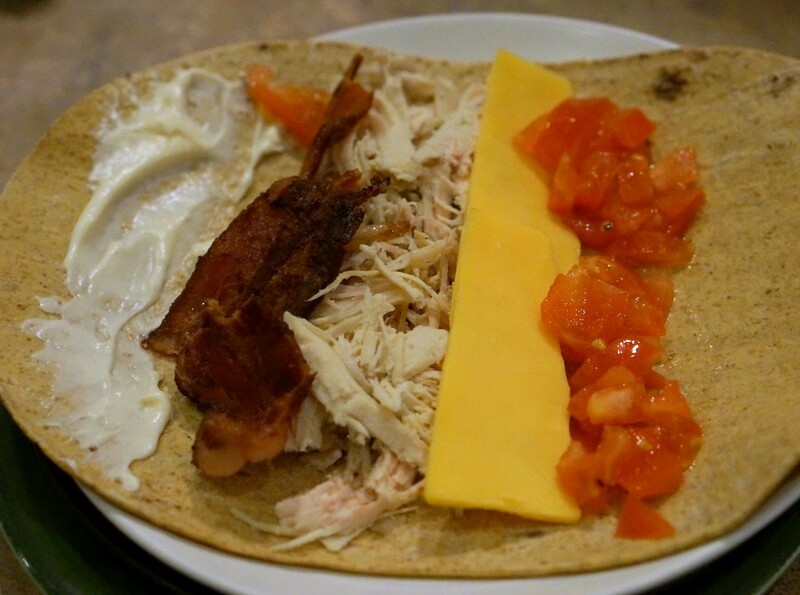 To mix up our leftovers so they feel like something completely new again, we love making a Turkey Wraps for lunch! To start, just shred up some of your leftover Thanksgiving turkey using two forks. You can use your turkey either hot or cold in this wrap, it tastes great either way. Dice up a tomato, fry up a few slices of bacon, and slice some cheese. You will also need a flatbread or thin tortilla as well as ranch, mayo, or a lite Italian dressing depending on your preference. When you have all of your ingredients ready, start by laying out your flatbread or tortilla. 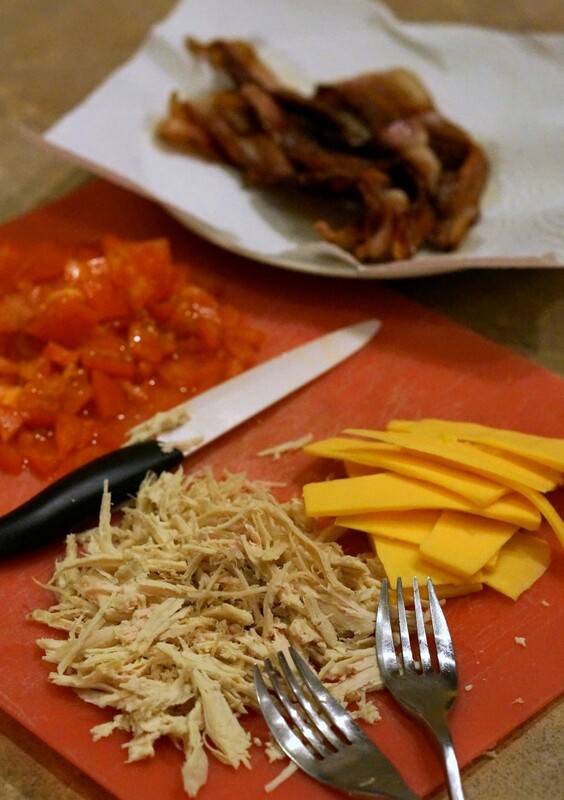 Add in your shredded turkey, cheese, tomatoes, bacon, and your dressing preference. I used mayonnaise in my recipe this time, but I often use ranch dressing if I want a bit more of a punch of flavor. We made the whole Thanksgiving feast at our home this year. We had turkey, ham, mashed potatoes, scalloped potatoes, stuffing, gravy, green beans, jello pretzel salad, rolls, pumpkin pie, and a few other pies! It was quite the amazing feast! Good Cook has a range of products that came in so handy for preparing our meal this Thanksgiving. The few pictured above were the ones that came in the most handy this year! I am always impressed with the great quality of Good Cook products! The Good Cook Roast pan is a large casserole style pan that is perfect for cooking a large ham or smaller turkey. It has a really nice quality finish and stores away easily with my other pans. Their Silicone Dripless Baster and Brush makes suctioning up the turkey drippings easy. You can set it on the end of the suction bulb standing upright so there is no more mess and it even includes a brush stored inside that makes cleaning it so easy! 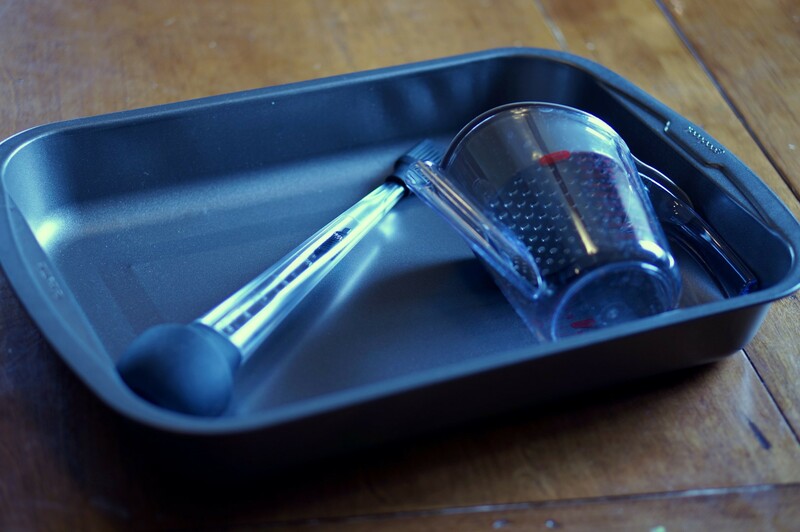 If you’re making your own gravy, or just want a super easy way to pour and serve your gravy, I loved their Fat Separator measuring cup that lets you pour in all the drippings and easily filter out what you don’t want in your gravy. Then, rinse it out and pour in your ready to serve gravy into the cup portion and it is so incredibly easy to serve without a huge mess of drips down the side with the pouring spout. Quick and filling lunch that gives you the perfect way to use up your leftover Thanksgiving turkey! Prepare your turkey, tomato, bacon, and cheese, if not already done. Lay out your tortilla or flatbread. Add in your turkey, tomatoes, cheese, and bacon. Add a dab of either ranch dressing or mayonnaise to your wrap. Roll up the tortilla or flatbread to make a wrap. See what the other Good Cook Kitchen Experts came up with! Previous Post: « Try Something New for Lunch or Dinner at Pei Wei!